“Do cool stuff and be kind to each other.” That was the slogan of Jordan Lee’s ersatz record label, known for cassette releases of the music created by his loose collective of Internet friends in the early days of music blogs. Lee, most notably the primary force behind Mutual Benefit, is a serial collaborator, fostering creative communities wherever his formerly nomadic lifestyle took him. From Ohio to Texas to Boston to, finally, Brooklyn, where we met him at Studio 42 for a Buzzsession, Lee collected artistic inspiration and forged relationships to help inform a sound that would eventually earn his 2013 debut full-length album, Love’s Crushing Diamond, Pitchfork's first ever Best New Music rating on a Bandcamp release. Lauded for his expansive but unassuming sound expressing a peaceful optimism, Lee has continued to create music as Mutual Benefit and treated us to two songs from last year’s Thunder Follows the Light. In Mutual Benefit’s Buzzsession, we get to peek behind the curtain he creates in his lush soundscapes. These songs normally emanate a dreamlike aura, full of reverb and found recordings and gently layered vocals, but behind all of that, these are folk songs in the way the Sufjan Stevens writes folk songs. “Come to Pass” embodies that folky simplicity and, no doubt inspired by years and years of DIY house shows, “Written in Lightning” is a power ballad soft enough to not wake the neighbors. 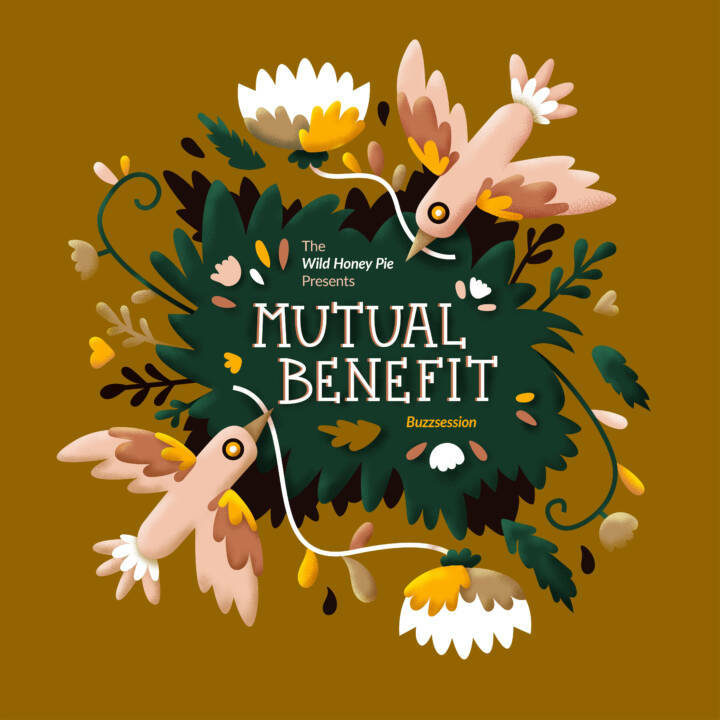 Mutual Benefit may be Lee’s project, but these songs come to life through the artists who join him, including Wilder Maker’s Gabriel Birnbaum on saxophone. It’s a real community effort; “Do you remember the first line of the song?” he asks with the utmost sincerity. Nobody in the band can remember, but together they get there.